Haggin Oaks boasts two championship golf courses, the Alister MacKenzie Course and the Arcade Creek Course. Designed by the legendary architect known most famously for Augusta National, the Alister MacKenzie Course has a classic but formidable design. The 18-hole Arcade Creek Course at Haggin Oaks Golf Complex in Sacramento, CA is a public golf course that opened in 1952. Designed by Michael McDonagh, Arcade Creek Course at Haggin Oaks Golf Complex measures 6818 yards from the longest tees and has a slope rating of 118 and a 71. Bartley Cavanaugh Golf Course is situated along the banks of the Sacramento River. The course has a diverse layout with a few tough holes, but overall it's player friendly enough to appeal to players of all skill levels. Accuracy and proper club selection are two major factors to scoring well on this golf course. Bing Maloney in Sacramento offers both an 18-hole championship golf course an executive nine-hole course known as the Express 9, since you can play it in less than an hour. The 18-hole course has a traditional design with short par 5s and par 3s. Mature oak trees line the fairways and the sloped greens will test your short game skills. The 9-hole Bradshaw Ranch Golf Course in Sacramento, CA is a private golf course that opened in 1989. Designed by Steve Legarra, Bradshaw Ranch Golf Course measures 1096 yards from the longest tees. The 9-hole Campus Commons Golf Course in Sacramento, CA is a public golf course that opened in 1971. Campus Commons Golf Course measures 1699 yards from the longest tees. The course features 3 sets of tees for different skill levels. 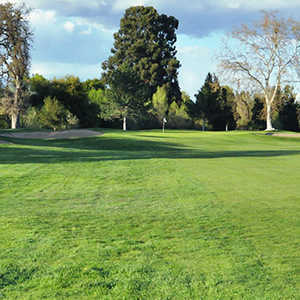 The 18-hole Cordova Golf Course in Sacramento, CA is a public golf course that opened in 1958. Cordova Golf Course measures 4832 yards from the longest tees and has a slope rating of 95 and a 61.9 USGA rating. The course features 2 sets of tees for different skill levels. The greens are bermuda grass. The 18-hole Del Paso Country Club in Sacramento, CA is a private golf course that opened in 1916. Designed by John L. Black, Del Paso Country Club measures 7121 yards from the longest tees and has a slope rating of 130 and a 73. The 9-hole Executive at Bing Maloney Golf Course in Sacramento, CA is a public golf course that opened in 1988. Designed by Ron Fream, Executive at Bing Maloney Golf Course measures 1357 yards from the longest tees. The 9-hole Foothills Golf Center in Sacramento, CA is a public golf course that opened in 1961. Designed by Paul Ottaviano, Sr., Foothills Golf Center measures 1096 yards from the longest tees and has a slope rating of 90 and a 27 USGA rating. The 9-hole Swallows Nest Country Club in Sacramento, CA is a private golf course that opened in 1963. Swallows Nest Country Club measures 3058 yards from the longest tees and has a slope rating of 98 and a 57.8 USGA rating. The 9-hole William Land Golf Course in Sacramento, CA is a public golf course that opened in 1924. William Land Golf Course measures 2564 yards from the longest tees and has a slope rating of 106 and a 31.6 USGA rating. The course features 3 sets of tees for different skill levels.